After consolidate & trade at side way in 5months duration, forming bolinger band squeeze. On 10 June, it break up the bolinger band squeeze with huge volume. How far will it rebound? Will it hugging bolinger upper band rebound higher? RM1.15 is current resistant level. Around end of June, it will announce the quarterly result. 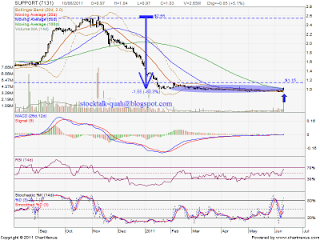 If above expectation, the rebound might be continue. 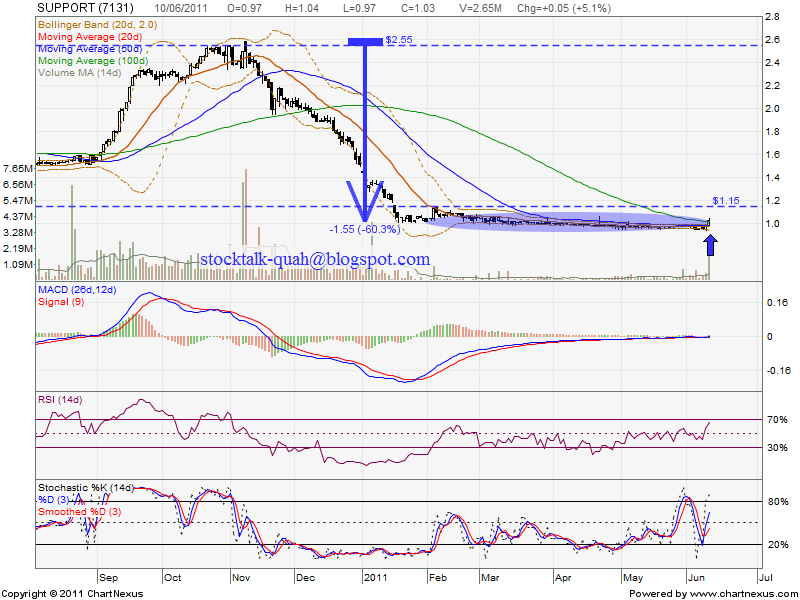 If below expectation, it might further retraced down to RM1 support level or lower level.